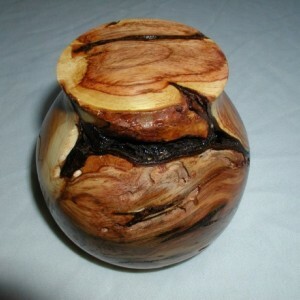 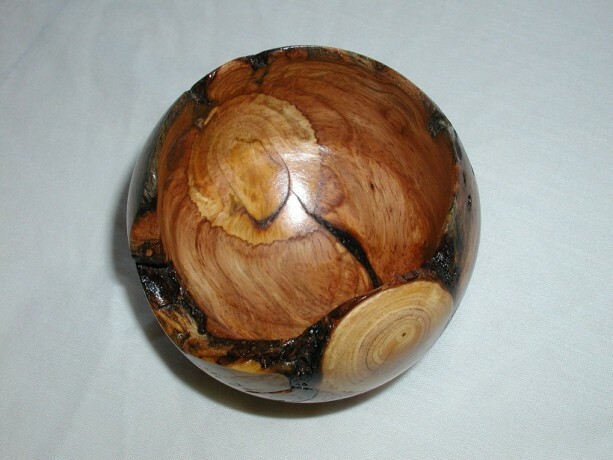 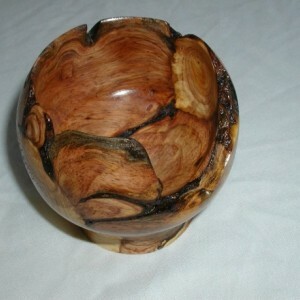 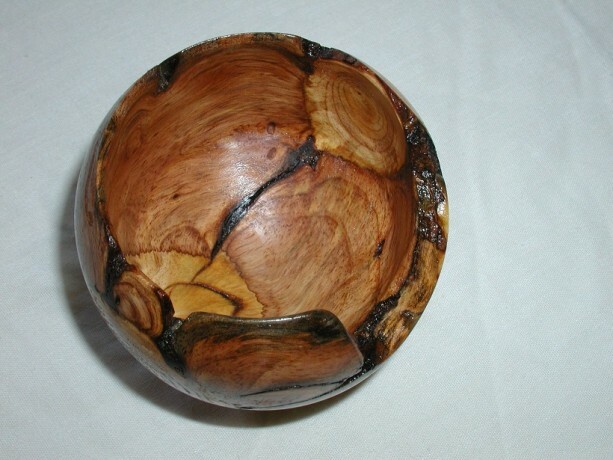 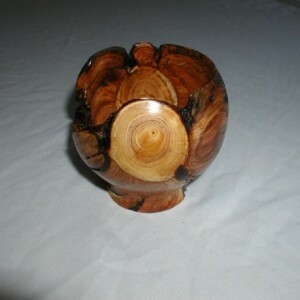 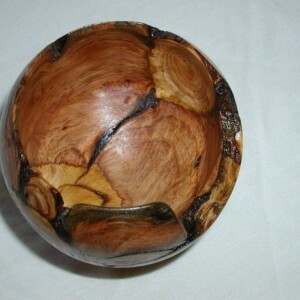 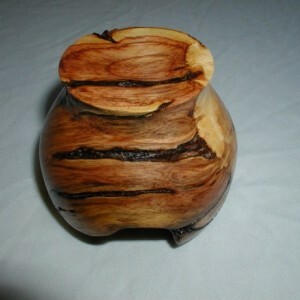 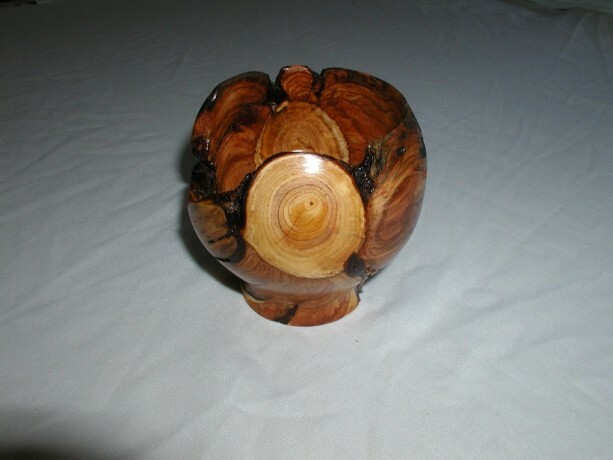 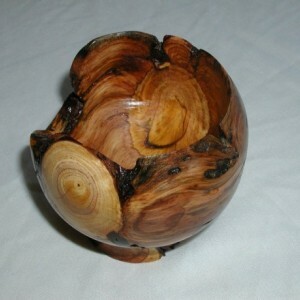 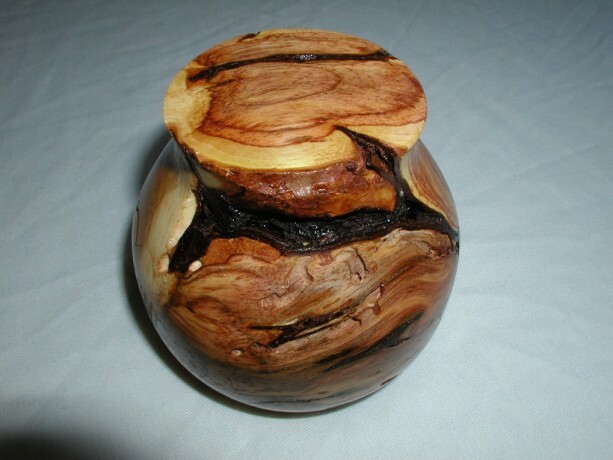 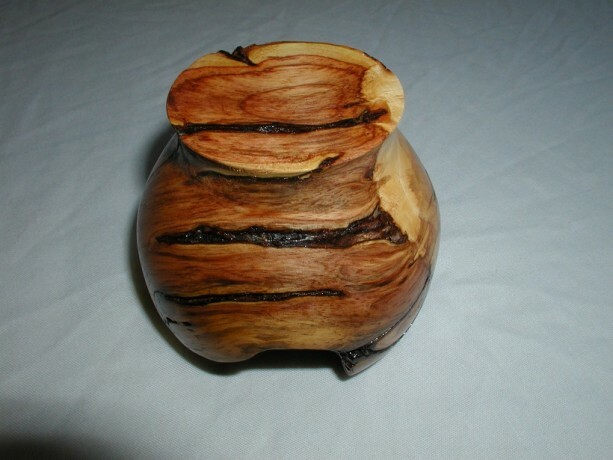 Pine Burl is a semi-hardwood and sometimes hard to find. 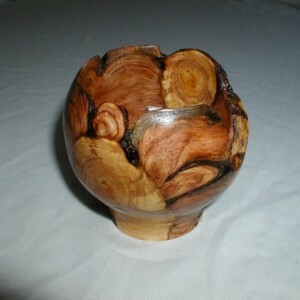 I find all my own Pine Burl by going into the woods and searching. 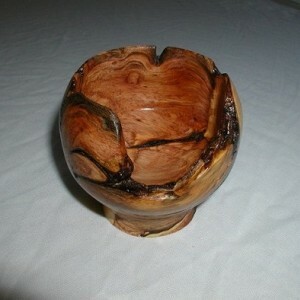 Pine Burl will have many natural openings in the wood and the color can be amazing when a finish is applied. 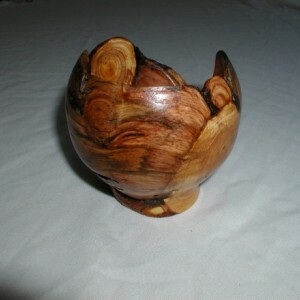 I use a mix of Tung Oil and Varnish. 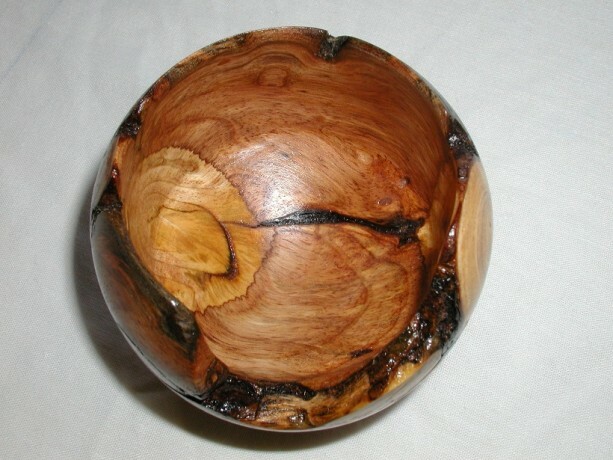 Approximate dimensions are W-4'' x H-3 3/4''. 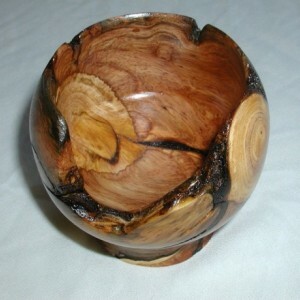 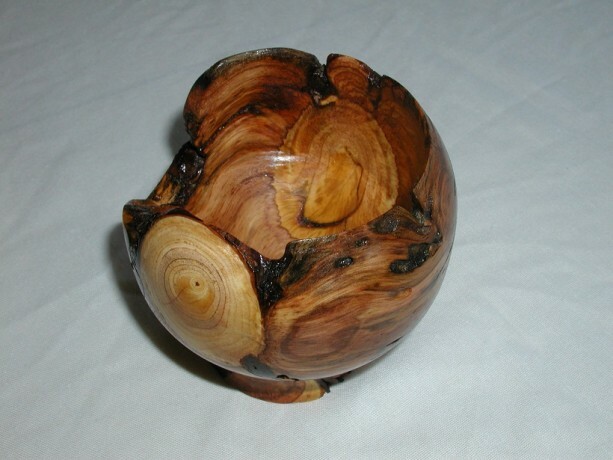 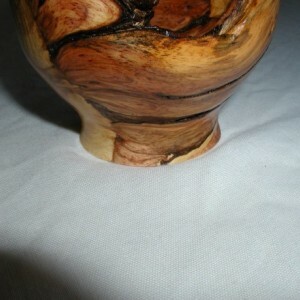 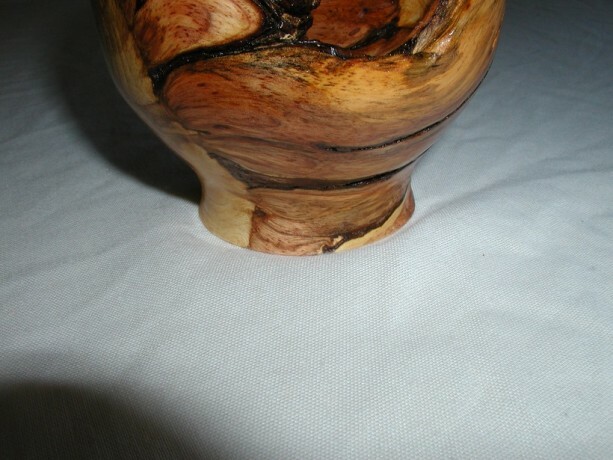 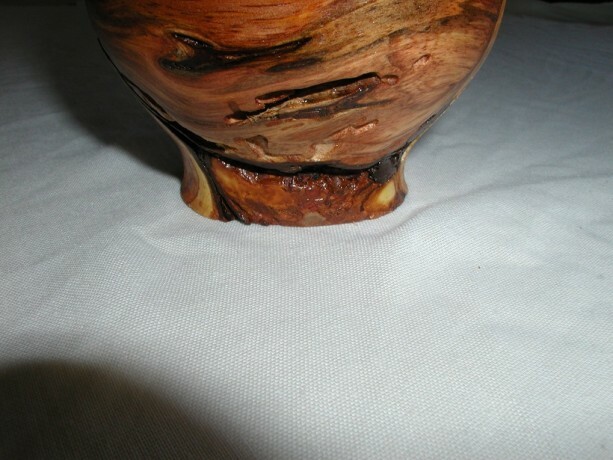 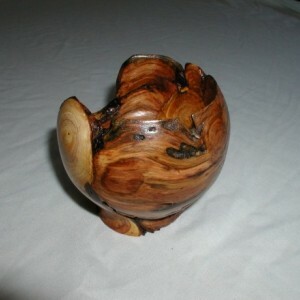 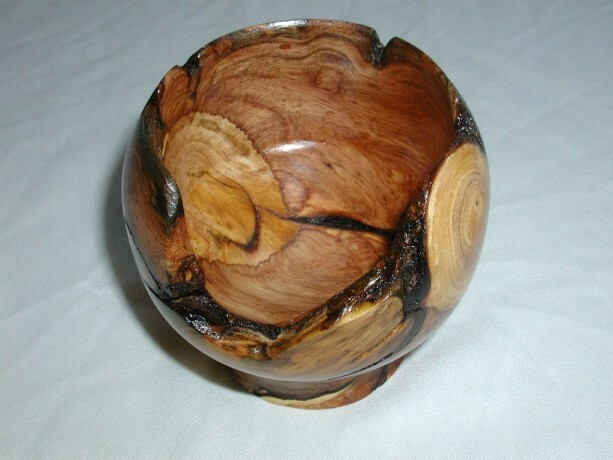 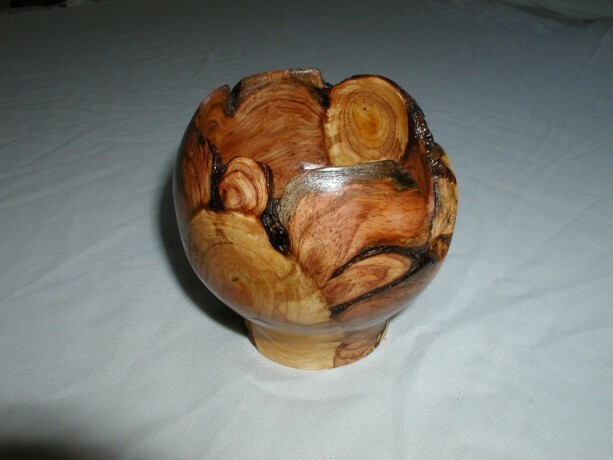 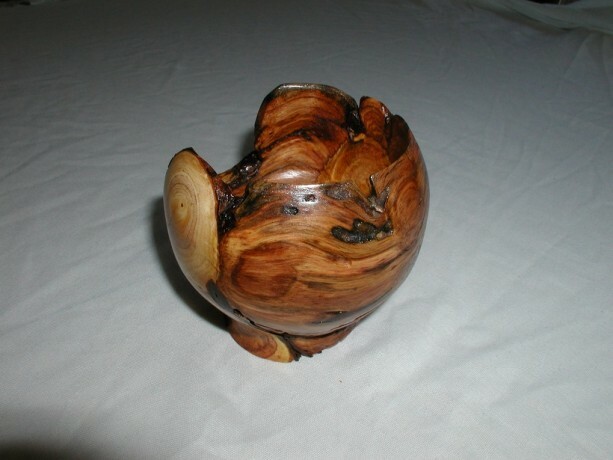 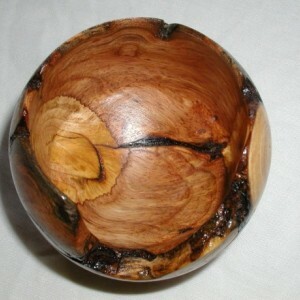 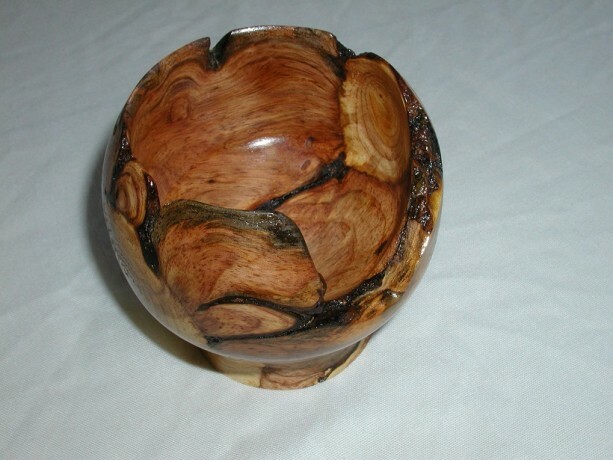 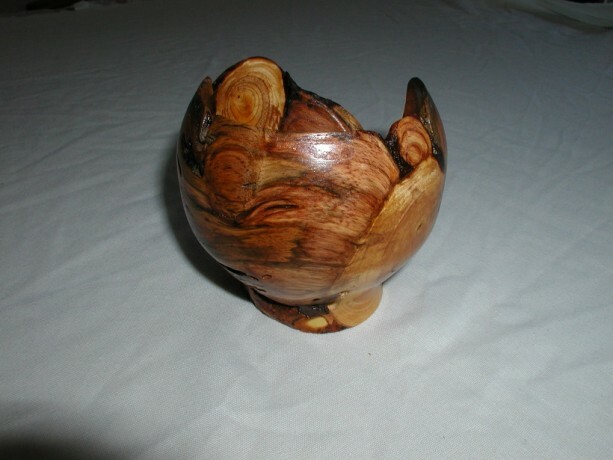 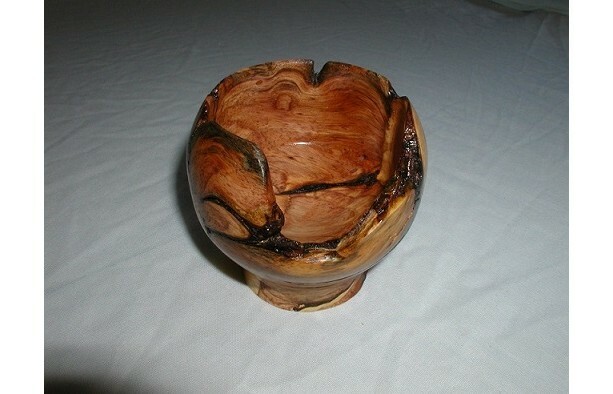 This woodturning I have done has a goblet look to it. 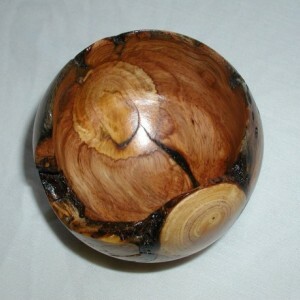 Another gift from Mother Nature. 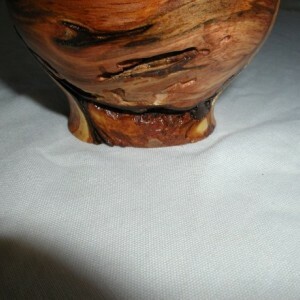 Ships only in the USA.